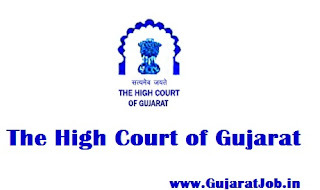 High Court of Gujarat, Sola, Ahmedabad - 380060 invites Online applications from eligible candidates for recruitment of Private Secretary and Gujarati Stenographer Grade-I by Direct Recruitment basis. The online registration starts from 16th March 2017 and closes on 31st March 2017. Check below for more information. Age Limit: 18 to 35 Years as on 14/03/2017. Age Relaxation as per Govt. Rules. (2) The speed of 120 words per minute in English Short Hand. (3) Knowledge of Computer Operation. (2) The speed of 90 words per minute in Gujarati Short Hand. (c) Should have passed SSC or HSC examination from recognized School Board with Computer as one of the Subjects, or Courses prescribed by the Government. Application Fee: Candidates belonging to SC, ST, Socially & Educationally Backward Classes (BC), Physically Disabled (PH) Persons and Ex-Servicemen shall be required to pay Fees of ₹ 250/- plus the usual Bank Charges and all other candidates shall be required to pay Fees of ₹ 500/- plus the usual Bank Charges through remitting the same in Current Bank Account No. 30725811785 with the State Bank of India, High Court Complex Branch, Ahmedabad, held in the name of Registrar General, High Court of Gujarat, Sola, Ahmedabad, through any of the Core Banking Service Branches of the State Bank of India using the Cash Voucher in the Special Format appended to this Advertisement, from 16/03/2017 to 31/03/2017, during Bank working days and hours. Selection Process: The Stenography / Skill Test and Viva-Voce (Oral Interview) will be conducted at Ahmedabad. 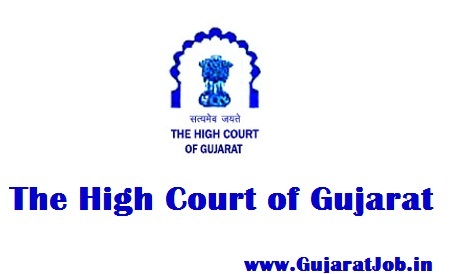 How to Apply: All eligible Candidates are required to Apply Online through Gujarat High Court Website. The Online registration starts from 16/03/2017 and closes on 31/03/2017 till 23:59 Hours.